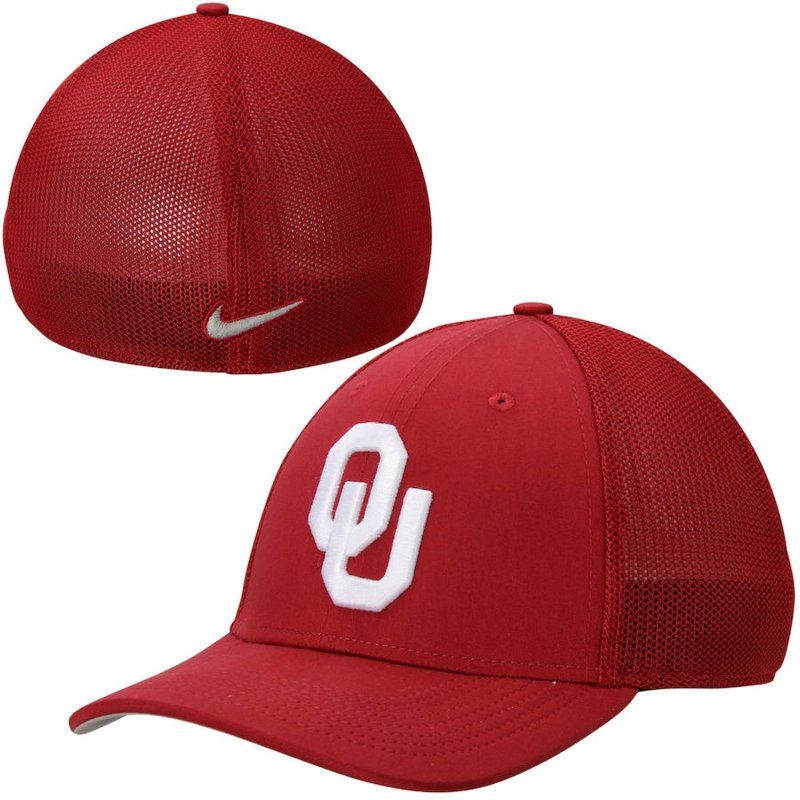 Get on top of your Oklahoma Sooners spirit with this Nike Dri-FIT L91 Mesh Back Swoosh Flex hat! The bold raised Oklahoma Sooners embroidery and colors announce your allegiance to the Oklahoma Sooners along with a color contrast underbill. You can cheer for your Oklahoma Sooners until the last second ticks off the clock with the help of the Dri-FIT technology in this hat that wicks away moisture from your skin when you begin to sweat and the mesh panels that allow your body to enjoy that cool breeze on a hot day.